Some experts have cast doubts about a new photo fueling speculation that aviation pioneer Amelia Earhart and her navigator Fred Noonan may have been captured by the Japanese after their plane went down. 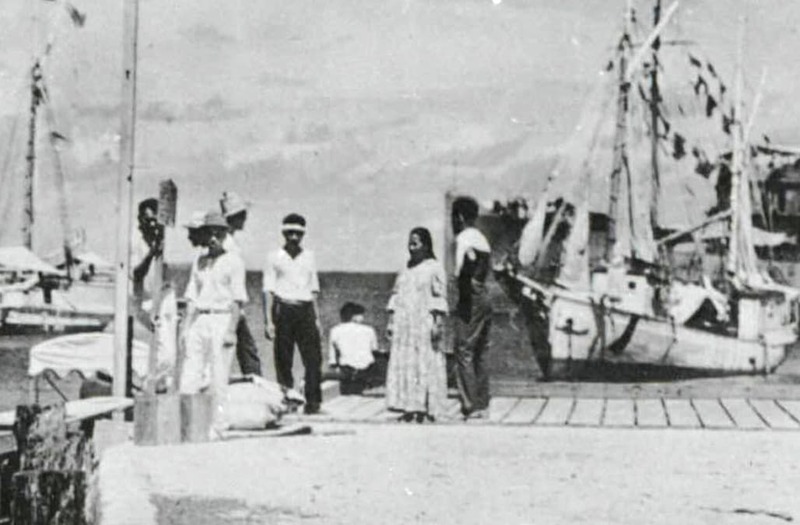 The photo, which was found in the National Archives, seems to show a group of people on a dock on an atoll in the South Pacific including a short-haired woman — possibly Earhart — with her back to the camera. The hypothesis is a key part of the upcoming documentary "Amelia Earhart: The Lost Evidence," but at least two investigators have serious concerns about the evidence. One source questions the date. The envelope containing the batch of photos was reportedly identified as being taken after 1940, but Earhart and Noonan vanished in 1937. (Original Caption) Amelia Earhart, 27, who plans to hop to England with Wilmer Stultz. Amelia seated in aircraft. 7/7/1937-Los Angeles, CA-ORIGINAL CAPTION READS: here is one of the last pictures made of Amelia Earhart, missing with her navigator in the mid-Pacific. The picture was made as she completed preparations for her ill-fated flight. Photo shows Earhart seated and staring to her left. (Original Caption) Amelia Earhart in Hawaii. Honolulu, Hawaii: Tea in Hawaii for Amelia Earhart, famous aviatrix, after a day's flying, shortly before she took off on her sensational solo hop across the Pacific to Oakland, California. As she took refreshments in a Honolulu home where she was a guest. (Original Caption) 'Free Air' as long as she can stay aloft in trans-ocean flying for Amelia Earhart, but if forced down she was prepared for the worst with this tiny rubber lifeboat. The famed aviatrix demonstrated it before taking for the East from Los Angeles 'to see it would have worked.' Inflated by a tiny cylinder, the boat has to be kept pumped up by hand. (Original Caption) A Pardoned Trespass. Culmore, Londonderry, Northern Ireland: No admonitions were forthcoming when Mrs. Amelia Earhart Putnam landed on a private field at Culmore, Londonderry, Ireland, completing her flight from Newfoundland across the Atlantic. Here's Amelia (center) with Miss Gallagher (holding child) and the Misses Burns, after she had descended from her plane on the field owned by Miss Gallagher. Meanwhile, Mike Campbell, another expert who's looked into the case, has said that the pair is "absolutely not in the photo and it's incredible that anyone could believe they are." "Nobody in the photo remotely resembles Earhart inasmuch as anyone's facial features can be determined at all," he added. But some news outlets have stood by the evidence, including NBC News which notes that former FBI official Shawn Henry remains confident that Earhart and Noonan are in the photo after studying the image. "When you pull out, and when you see the analysis that's been done, I think it leaves no doubt to the viewers that that's Amelia Earhart and Fred Noonan," Henry said. "People take photos and interpret them, and they're free to do that. It has not persuaded me," Dorothy Cochrane, of the Smithsonian, told CNN. Japanese officials reportedly said they have no record of Earhart's captivity, but as the BBC notes, these archives are not always accurate.